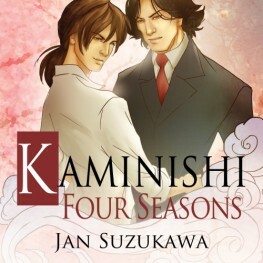 Jan Suzukawa's time traveling novella and sequel to "Kaminishi", "Kaminishi: Four Seasons" is out today! Shintaro's love that Michael traveled through time for is his again, and this time it’s for good. Get your copy of Suzukawa's historical fantasy now!